If you use the Mountain View station and are interested in access, you can come to the study session at 5pm or watch online. Council will be considering many details of the design, including refinements for people walking, bicycling, and using transit, who represented about half of people accessing the station in 2013, when data was collected for the Caltrain electrification environmental review. 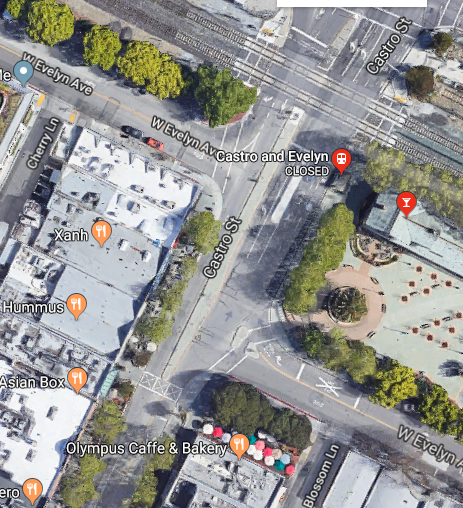 Council Member Hicks has a recommendation to realign Evelyn Street to enable safer and more direct pedestrian and bicycle access across Castro. TheÂ intersection is currently low-speed, but complicated with multiple conflict points. Members of the Bicycle Pedestrian Advisory Committee are asking whether it can be feasible to allow people with bicycles to ride through the relatively long path through the tunnels, rather than walk the distance, while maintaining safety for pedestrians. 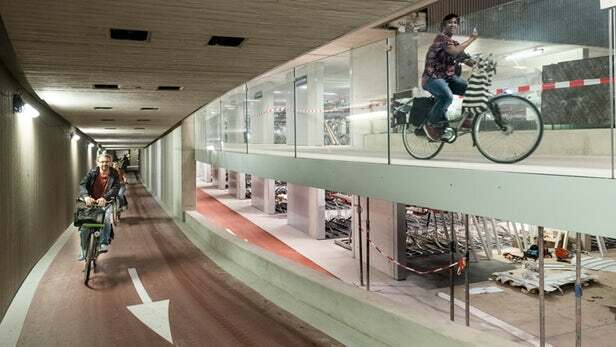 (See an underground train bike parking facility in the Netherlands with separated facilities for people with bikes). * Today, 1/5 trains doesn’t stop in Mountain View. Make provision for 4 tracks with 2 island platforms to allow more trains to stop. 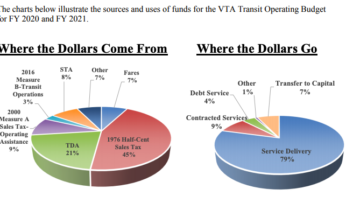 It’ll also help light rail. * I like the drop off area on Central. The pedestrian area is paved today, so might try using it. * Definitely let bikes in the underpass and remove pedestrians crossing gates. * Close Castro to cars between Evelyn and View and expand restaurant seating. This also improves flow with simpler intersections. Does this preclude expansion to 4 tracks? 2) Moving Caltrain Platforms further north is neither here nor there. They are equally in the way today and after the work. 3) The pedestrian underpasses under the tracks and Central expressway could certainly be built such that they don’t have to be rebuilt. 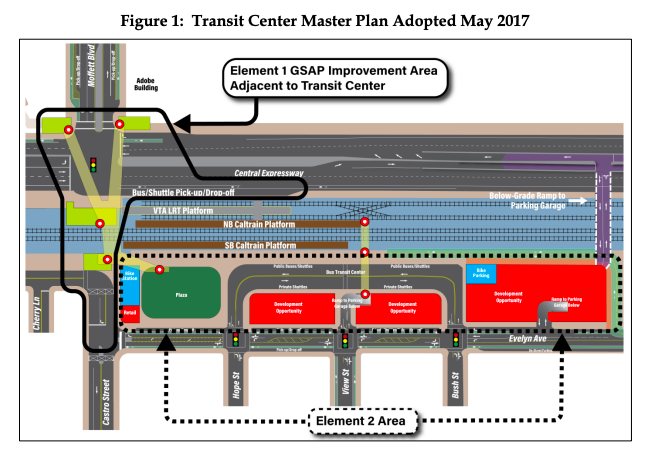 The obvious problem is that there isn’t enough room for VTA tracks and 4-track Caltrain station with platforms given the location of the “rebuilt” historic train station. The stations could be moved, but since it’s a relatively cheap structure, simply rebuilt. Personally, a better question would be is can the station be rebuilt with level-boarding. Given that this is #3/#4 busiest station, it would certainly save in swell time.